Rumors are now circulating suggesting that Israel is growing uneasy as a result of a recent report from the Washington Institute for Near East Policy that Egypt is seeking to acquire Russian air-defense systems such as the S-300, MiG Fighter jets, Mi-35 helicopters, Mi-17 helicopters, and Kornet anti-tank weapons. 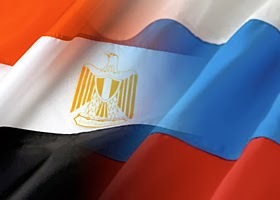 Last month, an Egyptian newspaper reported that Egypt had recently concluded a $2 billion weapons deal with Russia which was funded by Saudi Arabia and the United Arab Emirates. The weapons deal is largely seen as a means to mitigate the threat of U.S. pressure as a result of the ouster of corrupt Muslim Brotherhood member Muhammed Morsi.